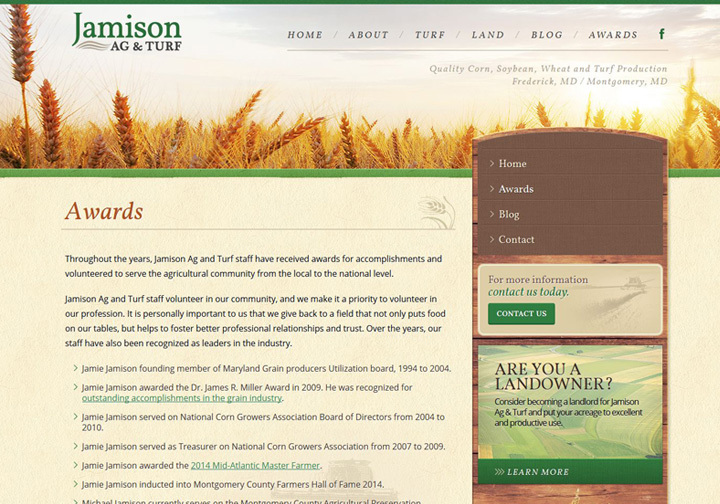 Jamison Ag & Turf - Wood Street, Inc.
Jamison Ag & Turf, a Mid-Maryland supplier of quality corn, soybean, wheat and turf, needed a unique website to help market their blend of ag & turf products and services. 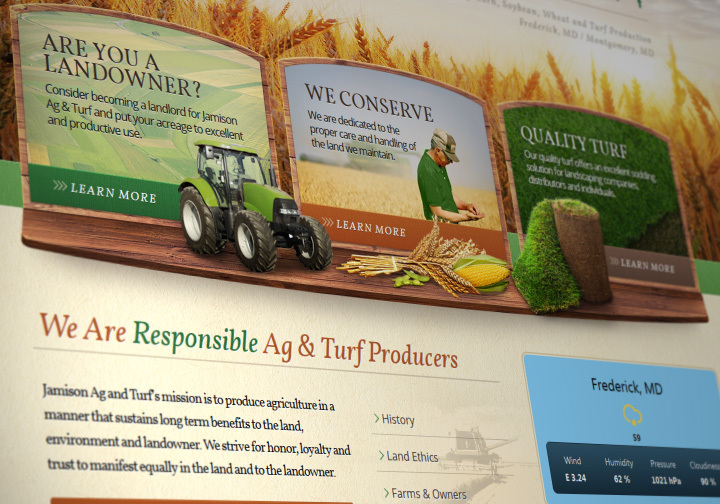 They needed a CMS, and a user interface that promoted easy access to information about agriculture as well as more about working with them. 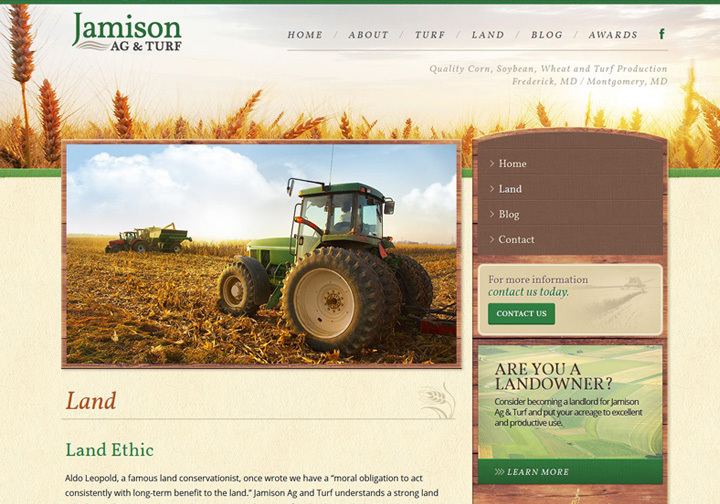 Working with the Jamison brothers, as well as copywriter Adrienne Lawrence, Wood Street designed a unique custom WordPress theme and developed a custom WordPress CMS solution. The site has been enhanced with Advanced Custom Fields for more client control of content throughout the site making for a clean, fast loading website. 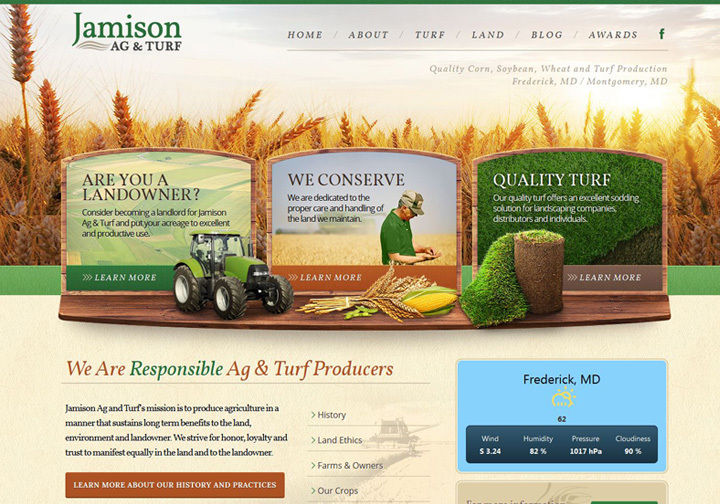 Wood Street also designed custom website graphics to visually illustrate Jamison’s dedication to land stewardship and delivering quality products. The site also features a sod calculator powered by vCalc.